Commemorate a milestone event with this clean, simple bookmark. 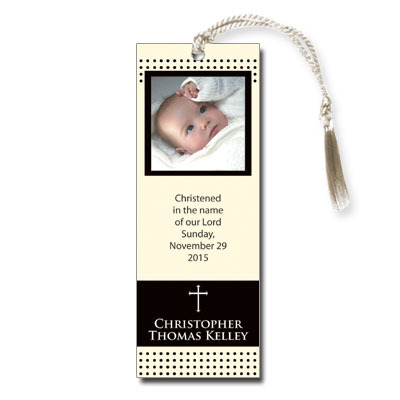 Customize the design with your information and a photograph of your child. Comes with ecru satin tassels; assembly is required. Measures 2x5.5.